Orders are accepted subject to prices in effect at the time of shipment of this price list and prices are subject to change without notice. The published pricing schedule shows suggested prices list and is subject to a trade discount as determined by Kalia Inc. (hereafter ”Kalia”). Orders will be invoiced at the price in effect at the time the orders are placed. Selling prices may be readjusted without notice during the year, for instance if transportation costs increase due to fuel surcharges. The acceptance, shipment or delivery of any order is conditional on the approval of Kalia’s credit department and on these sales terms and conditions applying to the order and not any others, unless specifically agreed to in writing by Kalia. Kalia reserves the right to require satisfactory security for performance of the purchaser obligations prior to making shipment of any order. Any sold merchandise remains the property of Kalia until full payment is received, in accordance with applicable laws. General payment terms are net 30 days. A rate of 1.5% monthly (19.56% per annum, compounded monthly) will apply on overdue accounts. No goods will be delivered to customers not complying with our sales and payment conditions. All prices published are exclusive of applicable taxes. If, upon receipt, the recipient notices that certain products are missing, the purchaser must immediately notify our customer service department. The recipient must then indicate which products are missing on the delivery slip and countersign it. The enclosed bill of lading allows you to verify shipped and received merchandise. Damage occurring in transit is the responsibility of the carrier. Kalia will not be held responsible for shipping damage. The product should be carefully examined by the user or installer at time of receipt to ensure it is damage free. If any damage is discovered, it should be noted on the freight bill, and a claim should be filed against the carrier as soon as possible. Inspection of the unit prior to installation is the responsibility of the installer or building contractor who acts on behalf of the user, or the user himself. They are responsible for ensuring that the unit is free of defect or damage. In the event of a problem, the unit must not be installed. Kalia is not responsible for failures, costs, damages or claims that could have been discovered, repaired or avoided by proper inspection and testing prior to installation. No matter what the reason is, no merchandise can be returned without the written authorization of Kalia's customer service. All returns are subject to a 25% restocking fee. Non-standard products are not eligible for return. Freight must be paid by the customer. Kalia is not responsible for variations in color or texture of the material delivered in relation to the sample shown or provided to the purchaser. The purchaser may not use such differences to obtain a price discount or to cancel the order. Orders must be cancelled within 24 hours of receipt of Kalia’s confirmation. All cancellation requests must be made by fax and be confirmed by Kalia. Kalia reserves the right to discontinue products at any time or change specifications and/or design without notice and without incurring obligation. All dimensions are approximate and subject to change without notice. Kalia offers express limited warranties on its products. These warranties extend only to the original owner/end-user for personal household use and start from the purchase date of the unit. For commercial uses, additional limitations apply. 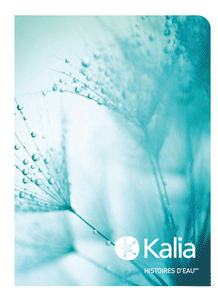 Refer to the warranty included with the Kalia products.